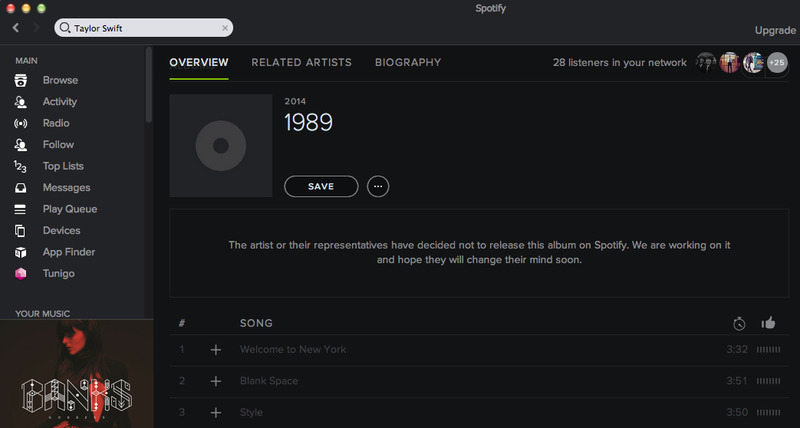 Spotify has announced that Taylor Swift had pulled all of her albums off its music on-demand service. Since then, we spoke to an industry source familiar with firsthand knowledge of why and how this happened, and who is most responsible. This source blamed one person: Scott Borchetta. Borchetta is the president and CEO of Taylor Swift’s record label, the Big Machine Label Group. Our source notes Borchetta is trying to sell Big Machine. Reports say he wants $US200 million. This source says Borchetta believes the only metric that will matter to potential buyers is the number of albums the label is able to sell. 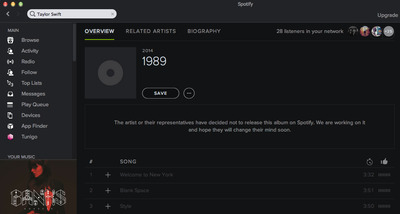 Our source says Borchetta doesn’t think the number of plays Swift’s songs have on Spotify will move the needle. The source says Borchetta believes that pulling Swift’s music off Spotify will create “scarcity” online, and drive CD sales and paid downloads. That might be true, but Swift’s new record is on pace to sell 1.3 million copies during its opening weekend, which would be the biggest opening weekend album sales since 2002, a year before the iTunes music store even existed. At $US10 a pop, that’s $US13 million in revenue in one week. This source says that Universal Music Group, which distributes Swift’s music for Big Machine, tried very hard to convince Borchetta that his thinking is very old-fashioned and that pulling Swift’s music off Spotify is a short-sighted move. “They did everything they could,” says our source. This seems plausible to us. At the WSJ tech conference in Southern California last week, UMG CEO Lucian Grange was adamant that streaming is the future of the music business. He talked about how great it is that, in a streaming paradigm, artists will get paid for their songs throughout their long lives — not just once, when their albums are first published. Swift is very popular on Spotify: 25% of Spotify listeners have streamed her songs. Her songs were on 20 million playlists. This source said that most artists are not able to do what Swift did today and simply pull their music off Spotify. The only reason this happened was that Big Machine has a special deal with Universal Music Group. Spotify declined to comment on this story. Big Machine did not respond to an email or several tweets.